Drinking smoothies daily can help improve your overall health. Many doctors even advise their patients, especially those with heart problems, to consume a heart healthy smoothie every day. Best of all, preparing a healthy and tasty smoothie is easy, and for those of you with a busy schedule, fast. Essentially, all you need to quickly create an amazing smoothie is a few healthy ingredients and a quality blender such as a Vitamix blender. Simply choose your favorite ingredients and toss them in your blender to make a tasty and healthy smoothie. The combination of ingredients you can add is practically endless too, so experiment, be creative and have fun! Once you start making smoothies it will hopefully become a part of your lifestyle, and you will have then taken yet another step to living a healthier and happier life. Here are six tasty and healthy smoothies that you can try out for yourself to get started. This is one of the healthiest and tastiest smoothies you can make. You should note that ginger is known for its anti-inflammatory where yogurt and honey are fantatic antioxidants. The amount of smoothie that you make depends on the number of ingredients that you use. You need to ensure that the ingredients are fresh and well cleaned before you use the best Vitamix blender to mix them evenly. The process takes a few minutes, and you can carry the smoothie anywhere you go, even out the door when you head out to work in the morning. Can you say healthy breakfast on the go?! Firstly you need to brew the tea and put in some honey. From there you need to blend the honey tea, soy milk and blueberries together. If you find that the smoothie is quite thick, add some water or ice cubes, and your smoothie will be ready to go in your ideal consistency. The above ingredients are essential for a healthy heart. The honey is a great antioxidant and is used to make the smoothie sweet. Finally, the soy milk makes a great base and contains healthy minerals for the body. When blending, ensure that all the ingredients mix well until smooth. 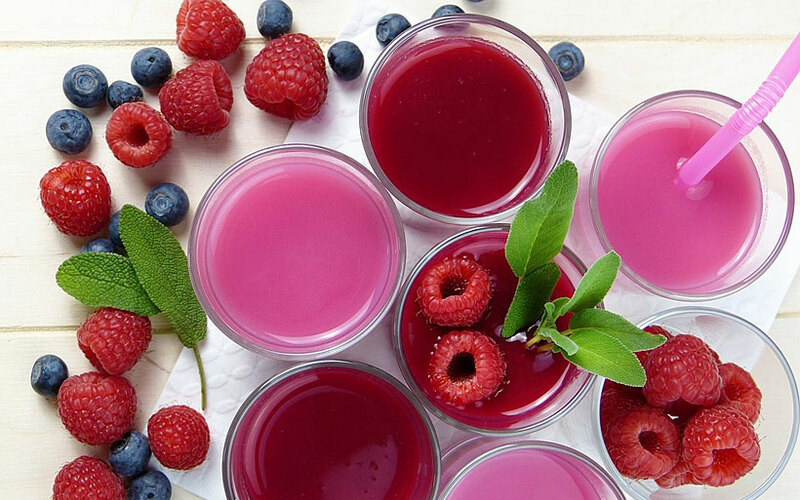 Berries are known for their antioxidant and energy properties. This kind of smoothie is mostly taken in the morning before you start your day to give you the energy that you need. Also for people who do not get time to eat lunch, this is the best smoothie for them. You will need different types of berries such as raspberries, cherries, and raspberries. Since this smoothie contains many ingredients, you will need to use a small portion of each ingredient. In the blender, you will combine the berries with lemon, ginger, flaxseeds and blend them. Kiwi fruits are known for their fiber properties which are essential for healthy arteries. It also contains vitamins that protect your body against infections. To add taste to the smoothie, try adding some honey. Watermelons are known for their sweet and refreshing taste. Melons are also a good source of vitamins that are needed for your overall health. You can combine the watermelon with milk or ice cubes and blend. This involves using kale and combining it with lemon juice and honey to improve taste. One of the benefits of this smoothie is that it will help with digestion and fat burn. Not a fan of the taste of kale? Try replacing kale with spinach for it is much easier on the palate. For improved nutrition, try a smoothie every day for a week to see how you feel, I can almost guarantee you will feel great. If so, make it a part of your daily routine! If you’re a coffee drinker, try an energy blend smoothie to start your day instead, you might just be surprised how much energy the perfect smoothie blend will give you. And for easy and fast preparation of your ultimate smoothie creation, check out the best Vitamix blender, they are one of our personal favorites. The Vitamix offers blending speed and overall quality that is rarely matched.